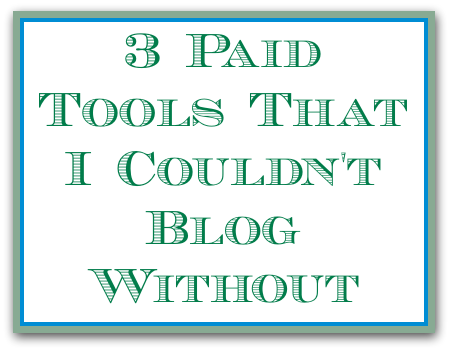 3 PAID Blogging Tools that I Use Every Day — I Wouldn’t Blog Without #3! 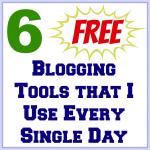 Last week, I covered 6 FREE blogging tools that I love and use every single day. Today I am going to talk about some paid tools that I also use every day. I have paid for other tools and simply don’t need to use them daily, or they have not worked out. The 3 tools below are ones that I really do use every day. First up, PicMonkey I know I included this in the free tools section as well. I use the paid version, but a more limited (and still extremely useful) version is available for free. With the paid option, you get access to more fonts, more overlays, more effects, more everything! And it’s like $3 per month. To see what you get for the premium options, simply go to PicMonkey and look at the features/overlays/fonts/etc, whatever has a little crown next to it is a premium option that you get for paying. I use Aweber every day because I have subscribe boxes on my site collecting email addresses. I don’t send an email every day, but I still consider myself a daily Aweber user. 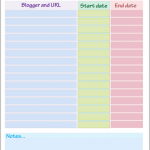 I have several posts on why I love Aweber and how I use it. This one and this one are my 2 most comprehensive. Basically, Aweber allows me to easily create emails and send them to my entire list whenever I want. I am also given very complete statistics such as open rates and how successful each subscribe box on my site is. You can try Aweber for a month for just $1 too! Just be sure you have time to play around with it and make that $1 month worth it! I use Long Tail Pro just about every single day. I have said before that if you are not doing keyword research, you are missing out on huge traffic potential. You also run the risk of writing a fantastic blog post that will never show up on the first page or two of Google. Can you do keyword research manually? Of course, but Long Tail Pro can do about 2 hours of keyword research in closer to 3 minutes. If anything, I highly recommend you at least give it a shot with the 10-day free trial. As above, make sure you have cleared some time in that 10-day span to really explore this tool and see if it’s right for you. As you can see, I don’t spend a ton of money on paid blogging tools. I still like to find the free options out there. So what makes me pay for an item? Well, for me it’s all about time. If I can pay for a service that will save me a ton of time, I probably will. With Long Tail Pro, I literally save 1-2 hours every day by being able to do quick keyword research at the drop of a hat. I hope he doesn’t read this, but the creator could charge double the amount he currently does and he’d still have me paying. PicMonkey is just so cheap, it’s a no brainer for me to pay the money. You just have to weigh your options and decide whether or not it is worth it for you. The nice thing is that many companies nowadays are offering free trials. Take advantage of those! 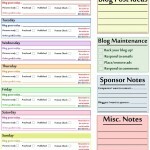 What blogging tools do you pay for? 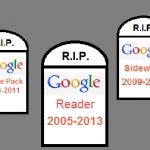 Google Reader is Shutting Down ~ What’s the Best Alternative? I don’t totally understand what Long Tail Pro does. Could you fill me in? I’ll make a post about it soon, since so many people are curious but the short answer is this: you enter keywords that you come up with into the Long Tail Pro program and it gives you statistics on how competitive (how hard to rank) that keyword is, how may monthly searches that term gets, average AdSense payment per click for that keyword in addition to similar keyword suggestions. Also, it can give you a detailed breakdown of the top 10 current results for any keyword. To do those things in LTP, it takes about 2 minutes per keyword. 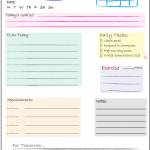 To do them manually would take 15-20 minutes. Great! Thank you! 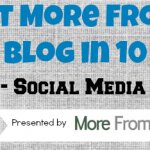 So basically, you would test out keywords, see which is the highest search for, and then utilize that phrase above other similar phrases in blog posts and picture naming? Exactly! It’ll let you know whether or not your chosen keyword is even worth going after, or if you should change your wording. Then it provides close match keywords for you to sort and choose from. It’s been great for me!